Description not available for this model. 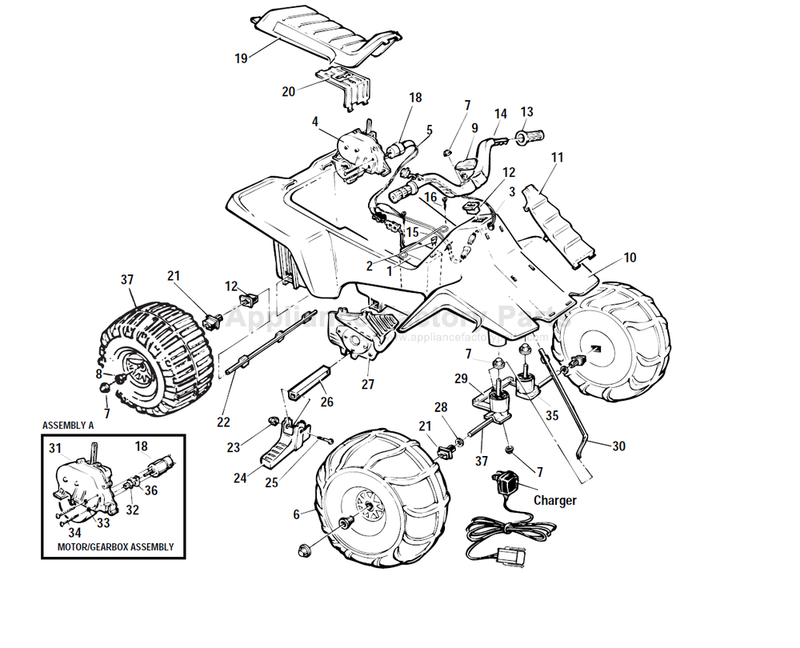 15 74504-4429 - Battery Retainer. 1 0801-0431 - Battery, Type H.
20 73560-9489 - Motor Cover. 25 0801-0304 - No. 10 X 1-1/4 In. Bolt. 8 78560-2679 - Round Bushing. 17 74504-4509 - Front Axle. 22 74504-4539 - Rear Axle. 29 74504-4219 - Steering Linkage. 26 76940-2179 - Footrest Support. 30 80054-0046 - Steering Column Sub To 76940-4239.